One of the themes of the New Museum’s recent exhibition “Ghosts in the Machine” was the complicated and ongoing relationship between artists and scientists working in a variety of fields. 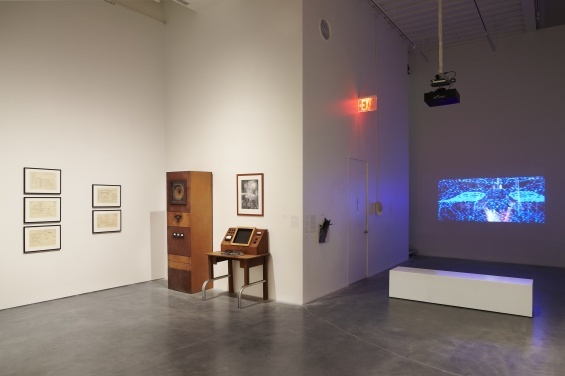 The exhibition considered works by artists like Stan VanDerBeek who embraced shifts in technology and anticipated our current digitally saturated world. Others included initiatives such as Experiments in Art and Technology, which sought to bring artists and scientists into direct dialogue with the goal of creating new, progressive forms of art. In keeping with this theme, I was recently invited by J.D. Talasek, Director of Cultural Programs of the National Academy of Sciences in Washington, DC, to participate in one of their monthly DASER events (DC Art and Science Evening Rendezvous)—a series of presentations and discussions between individuals working at the intersections of art and science. My fellow participants on the panel included James Giordano, a neuroscientist, neuroethicist, and Director of the Center for Neurotechnology Studies at the Potomac Institute for Policy Studies in Arlington, VA; Monica Lopez-Gonzalez, postdoc fellow, Johns Hopkins School of Medicine, and adjunct faculty, Visual Cognitive Neuroscience, Maryland Institute College of Art, Baltimore, MD; and Jonathan Peck, futurist and Director of the Institute for Alternative Futures, Alexandria, VA.
Each panelist provided an overview of their diverse practices and presented unique perspectives on what artists and scientists can offer each other. Dr. Giordano’s presentation on the future and implications of neurotechnology offered both an inspiring and cautionary message about the ways in which advances in neuroscience change our relationship with ourselves, while Dr. Peck’s discussion of the challenges in anticipating advances in scientific understanding and technological innovation resonated with forward-thinking individuals in both science and culture. Finally, Lopez-Gonzalez demonstrated her work as an artist and scientist, explaining how she draws from both fields to understand the nature of creativity and improvisation across disciplines. These three individuals, and the large, enthusiastic audience who attended the event, offered evidence of an engaged and active community committed to working together to bridge the divide between these disparate fields. 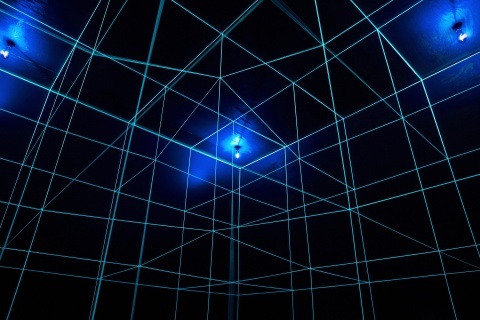 To the same degree, “Ghosts in the Machine” brought together a similar type of visionary thinking from artists, writers, and researchers who have collectively shaped and visualized our technological present.